Recognizing the magnitude of mobile marketing, Facebook has introduced its first mobile-only ad unit with Facebook Sponsored Stories for the News Feed. This is the social media network’s first major move since its recent IPO and it’s being viewed as a savvy strategic step for Facebook. Still, its success ultimately depends on how its conversion rate measures against desktop performance. 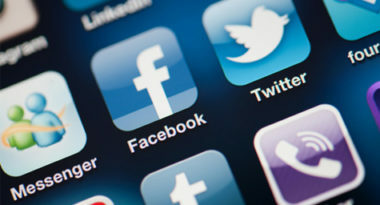 To shed light on the launch, Mashable.com explained how Facebook is making mobile more accessible for marketers. With the debut of this new mobile unit, marketers can buy Sponsored Stories in the News Feed and stipulate if they want those advertisements to appear on mobile devices, the desktop, or both. There are five available mobile ad options. The most comprehensive choice is All Placements with ads featured on the News Feed desktop, right-hand side desktop and News Feed mobile. More specific options include All Desktop Placements, News Feed Desktop & Mobile Placements, News Feed Desktop Placements and News Feed Mobile Placements. With almost half of Facebook’s more than 900 million users accessing the social media site from a mobile device, the company realized that the potential for mobile was too great to ignore. Since mobile versions of Facebook had previously been ad-free, the social media network was losing a significant amount of ad revenue by not offering mobile ad units. This realization led Facebook to develop mobile ad units in an effort to generate revenue comparable to its desktop ad platform. To learn more about incorporating Facebook’s new mobile ads into your social media marketing strategy, contact MDG Advertising today at call 561-338-7797 or visit mdgadvertising.com.